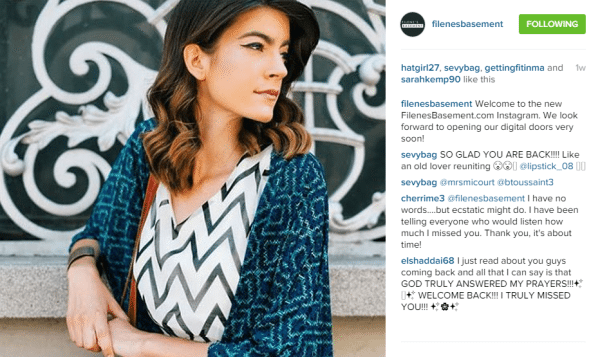 Filene’s Basement is Back with a New E-Commerce Store! If you’re from the Northeast, Chicago, or a Mid-Atlantic State, most likely you know about and/or have shopped at Filene’s Basement. Does it sound familiar? Back in 2011, the company closed its doors to over 20 brick and mortar stores. Unfortunately, I never had the pleasure of shopping there, but as I was reading about this store, one thing was clear – both the shoppers and employees loved Filene’s Basement and had a deep admiration for it. They seem to be known for a few things such as ‘lifer’ employees (one lady worked there for 60 years), being one of the first stores to offer ready-to-wear machine-made clothing and the annual “Running of the Brides” event. Filene’s Basement annual “Running of the Brides” event started in 1947 and garnered attention from media outlets. This one day sale of wedding gowns brought hundreds of brides flocking to the stores in places such as Atlanta, Chicago, Cleveland, Columbus, Los Angeles, New York City, Washington D.C., and Westchester County (New York). For one day Filene’s Basement would drastically reduce prices on gowns which ranged from $249.00 to $699.00, marked down from retail prices as high as $9,000. Wow! As you can imagine, racks emptied quickly and from what I read, when a bride-to-be found ‘the one’ everyone would cheer. Now that sounds like one fun event! Needless to say, Filene’s Basement holds a special place in the hearts of shoppers. Which leads me to the exciting announcement that Filene’s Basement is back in business with the launch of an e-commerce store! The online store will launch in Fall 2015 and will be a curated marketplace for shoppers to “Find What’s You” – customized to personal taste, featuring branded apparel, accessories, and home goods. Here are just a few reactions from their Instagram to the new e-commerce store opening. 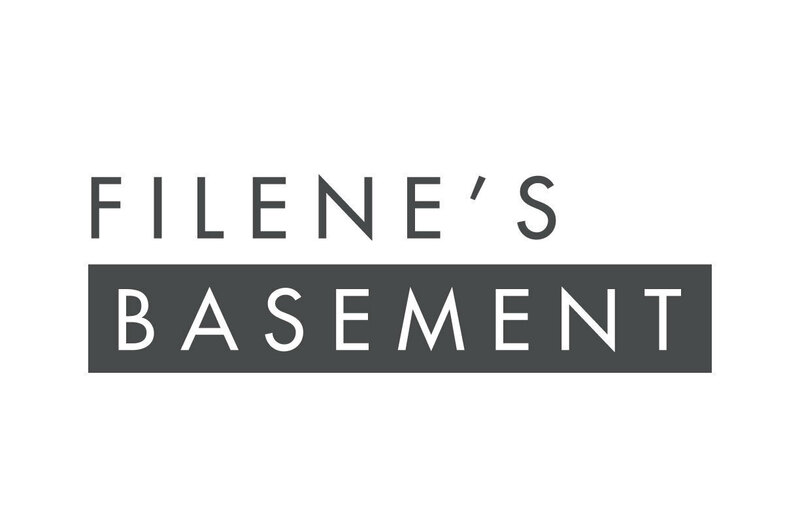 Right now you can head over to FilenesBasement.com and sign up to stay up to date on launch news and special offers. You can also connect with them on Facebook, Twitter, Pinterest and Instagram. 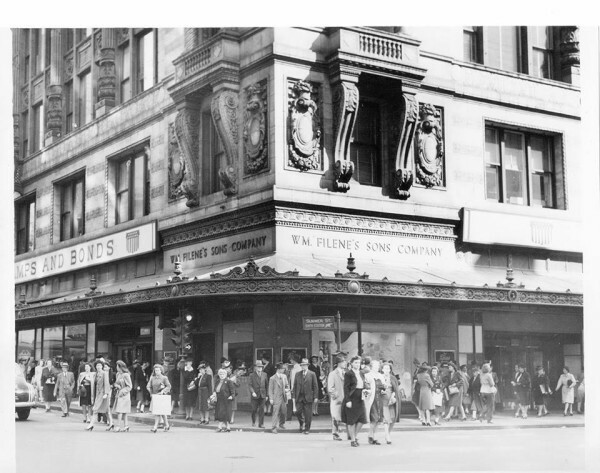 Do you have a Filene’s Basement memory or story to share? I would absolutely love to hear them!